Breakfast builds better bodies, provides fuel for school, and boosts brain power! Studies show that when kids eat breakfast, they have higher test scores, improved daily attendance, and better class participation. Why is eating breakfast important? Breakfast eaters are healthier and more energetic throughout the day. 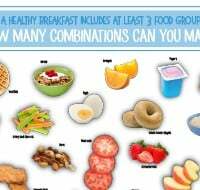 The Dietary Guidelines for Americans encourages children, as well as adults, to eat breakfast every day to get the nutrients they need for good health. Eating a nutritious breakfast that includes lowfat or fat-free milk helps meet daily nutrient needs. In fact, milk is the number one food source of nine essential nutrients for children and six essential nutrients for adults. How can I build a better breakfast? 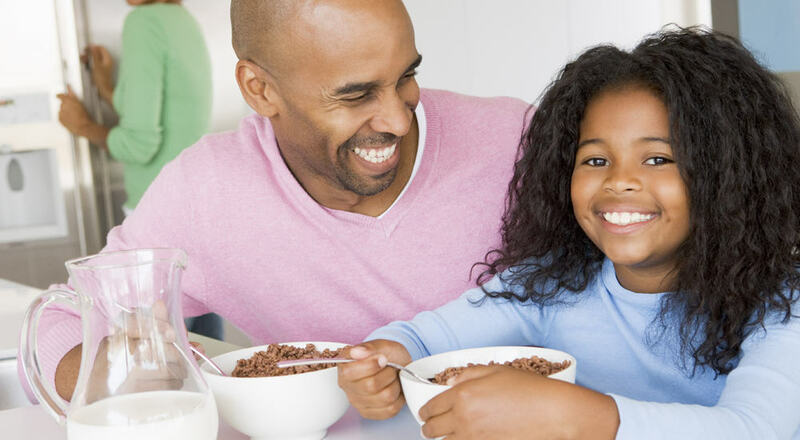 Be a role model — Your kids are more likely to eat breakfast if you do, too. Beyond boxed cereal — Get creative with breakfast options that kids will be sure to wake up for. Top a tortilla with peanut butter and banana slices and serve with lowfat milk. Rushed morning rescue — Keep portable items on hand such as yogurts in a tube, granola bars, fruit and single-serve, lowfat milk. Eat for energy — Plan breakfast around at least three of the five food groups, especially low fat or fat-free dairy foods, fruits and whole grains. Late out of the gate? Eat breakfast at school — School breakfast is a convenient and nutritious option for busy families or kids who don’t feel hungry as soon as they wake up. 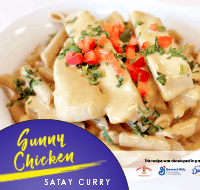 It’s available to all students, regardless of socio-economic background and is a great nutritional value!